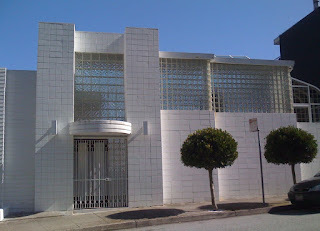 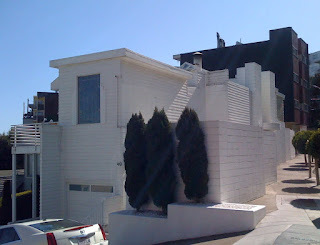 Richard Neutra built five houses in San Francisco between 1935 and 1940. 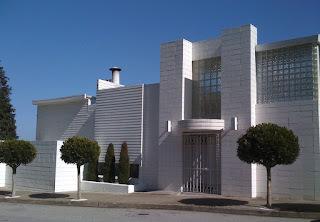 This is the first, the 1935 Largent House at 49 Hopkins St. at Burnett on Twin Peaks. 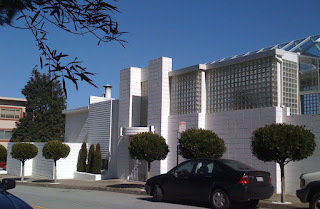 It's also the most spectacular, though the Kahn House has equally stunning views.